Synonym | Lloydia serotina (L.) Reichb. 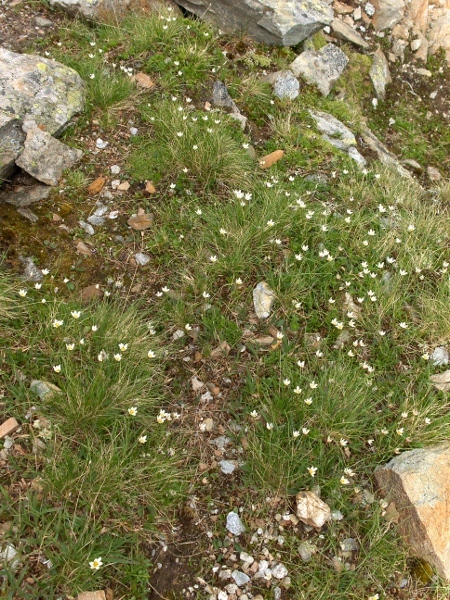 In the British Isles, Gagea serotina (formerly Lloydia serotina) is only found on cliffs on a few of the highest mountains in Snowdonia. 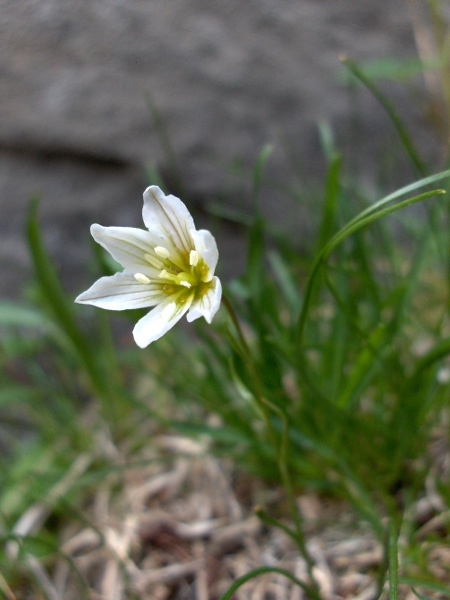 Unlike most other Gagea species, the flowers of Gagea serotina are white, often with purple streaks on the outside. 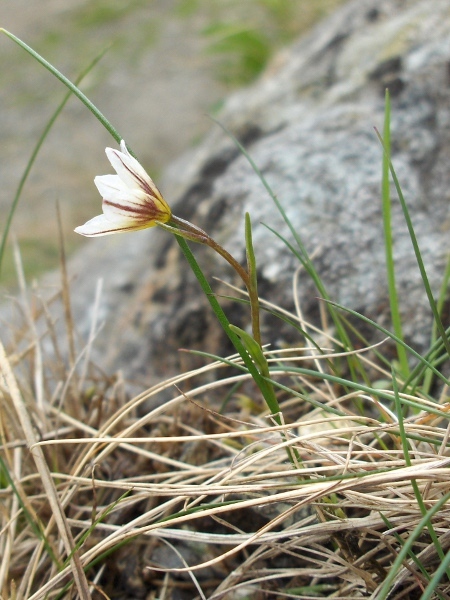 Although it is dangerously rare in Britain, Gagea serotina can be quite abundant in other parts of its range.